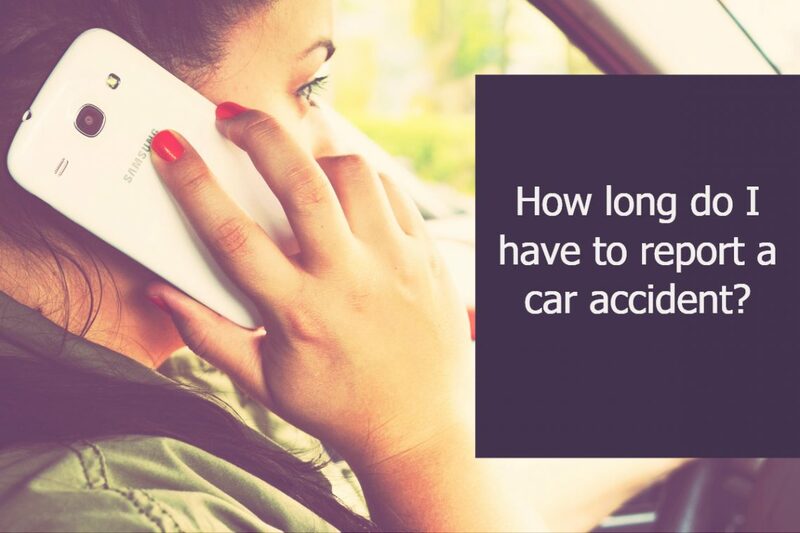 The short answer is that you should report a car accident as quickly as possible. While the first priority is attending to the medical needs of everyone involved, the next step is to report the accident to your insurance company. Many companies offer 24 hour claim service and several now have mobile apps you can use to report an incident while still at the scene. Most insurance companies require policyholders to file claims within a specified time following an accident, but this information is not usually made public and every policy is unique and may have different terms. It is important to carefully review your policy’s language for information on how and when to file claims, and if you still have questions specific to your situation you can contact your insurance agent for further guidance. Another good reason to report the accident to your insurance company as quickly as possible is that the statute of limitations (time limit for filing a civil lawsuit) begins tolling on the day of the accident. If you wait several weeks or even months to file an insurance claim and then later have to bring a case to seek adequate recovery for your damages, you will already be weeks or months into the statute of limitations. Keep in mind that some states have different limits for different types of claims (e.g. 2 years to file suit for a personal injury claim, and 5 years to bring a property damage lawsuit). Georgia: Please note that you have 2 years from the date of the accident to file a lawsuit. O.C.G.A. 9-3-33. Furthermore, you have 2 years from the date of the accident to file a lawsuit against the state (O.C.G.A. 28-5-86). However, you must first give notice of your claim to the government entity within 6 months (O.C.G.A. 36-33-5). We are available to help navigate the accident and injury claim process. Please visit our website for more information on our services.